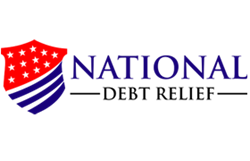 National Debt Relief recently shared in an article published April 6, 2015 how consumers who has either a very low credit score or zero credit score can finally have an easier access to credit. The article explains how FICO came up with the pilot program and who will mostly benefit from this development. The article starts off by explaining how simple a credit score works. If consumers have been meeting their financial obligations on time every time, they might have a score of 700 and up. This score can grant a consumer just about any credit they want. On the other hand, there are those that are not paying much attention to their payments and could be in the 300 score range. But is is also possible to have a zero credit score as the article explains it. This simply means that the consumer does not have any record for the credit bureaus to work on. But the good news for consumers with low scores and even those with zero on their credit is FICO has developed a new way of looking at a consumer’s payment habit. The article explains that FICO is piloting a program that is two years in the making where they will look at the consumer’s history of paying utility bills and not their history of making loan repayments. This will redefine the whole ballgame because it can benefit millions of consumers who are having problems with their finances. The majority of these consumers are very young people that don’t have an established credit history or immigrants that are new to the US. And many of the “unscorables” are members of a minority – especially Hispanic and black consumers. They will now have access to credit tools like having a credit card or even taking out an auto loan.